Thanks to the web, making a reservation is just a few keystrokes away. We’ve all become our own travel agents and it isn’t so hard, right? Except for an all-too-common scenario. 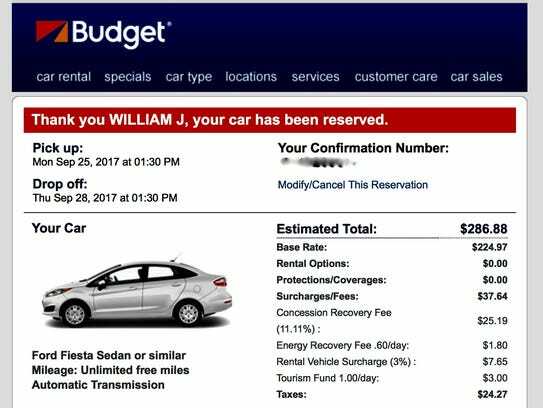 When you’re ready to pick up the rental car, check into the hotel or board the flight, bus or train — and you discover that reservation won’t be honored. It happened to me recently. And it can be both frustrating and extremely inconvenient. Following some helpful steps may help. Next month I’ll address the more complex world of airline reservations; this column will address the other travel sectors. Last month I visited a friend in Baltimore and decided to avoid racking up mileage on my own car by renting through Budget in Connecticut. I booked the reservation online and received a confirmation for a compact car at Tweed Airport in New Haven. When I arrived one hour later I was told — not at all politely — that no cars were available, and absolutely no assistance was offered. I was not given help in finding a car at another location or through a rival rental firm, and no insight into why a reservation was confirmed 60 minutes earlier when no cars were available. When I produced the hard copy of my confirmation number, it literally was met with a shrug. I have been active in the travel industry since 1985 — as an airline employee, journalist, consumer advocate and traveler — and I’ve never seen customer service devolve so quickly. And yes, there were echoes of the classic Seinfeld exchange in which Jerry tells a rental agent that she knows how to TAKE the reservation, but doesn’t know how to HOLD the reservation. I retreated to my laptop, dejected at the state of travel industry customer service. But within the hour my faith was restored by the professional and polite staff at Budget’s sister company Avis in Fairfield. I was given a low-mileage, freshly washed premium car and was assisted with my luggage and parking — AND the original compact rate was honored. The Fairfield staff also repeatedly apologized for the Tweed Airport debacle. So why such a tale of two very different cities? I reached out to Avis Budget Group and a spokeswoman for the “mobility solutions provider” stated: “In the rare occurrence there are no cars available, we attempt to get the customer to their destination (via taxicab, etc. ), if possible, and when a vehicle becomes available, it will be delivered to the customer. In the event that this is not possible, we advise the customer to check availability/rates with other providers. We then match the rate originally confirmed and reimburse the customer the difference between the original rate and the rate they paid.” The Tweed Airport staff did none of this; after much calling, I contacted the Avis location in Fairfield on my own. The spokeswoman also explained how an Avis mobile app can assist with viewing availability in real time. But I’m unsure if it would have helped me that day. Of course, travel professionals have offered multiple theories on why my “confirmation” was worthless. For example, Linda Burbank, who writes the Traveler’s Aide column for USA TODAY, offered this insight into reservation snafus with rental cars and hotels: “Time and again I have run up against problems at franchise locations. Often it’s about going against official policy or traditional methods, and corporate offices basically wash their hands of responsibility.” Burbank’s involvement frequently generates refunds or credits as “goodwill gestures,” but the systemic underlying problems persist. She explained, “It’s a fleet management issue. Lots of people reserve, but without any cancellation penalties, they build in an allowance for no-shows, similar to the airlines.” Such allowances can mean you’re the odd customer out when fleets are depleted. In recent years it may seem that bogus reservations have increased. Although “no-shows” and bumping have plagued the travel industry since sailing ships and stagecoaches, technology has both alleviated and exacerbated the reservations process. And it’s not just rental cars. Here’s a rundown on other travel sectors. In the lodging industry, an un-honored reservation is called being “walked” — as in out of the property. In general, much of the advice that applies to car rentals also applies to hotels: Confirm reservations, assert your rights, ask for alternatives, etc. Unfortunately, some of the same problems also apply. Although in theory consumers shouldn’t be concerned whether a hotel (or rental location) is corporate or franchised, in reality this can make a difference. • Being charged in full, in advance, without your express authorization. • Unsecure websites preceded by // and not //. • Websites with names in the URL, such as “national reservation center” preceding the hotel name; such sites aren’t sponsored by the hotel itself. But how often are reserved seats overbooked or not available? An Amtrak spokeswoman advised: “Stats on this type of information aren’t available.” She stated, “It is our intention to always have a seat available for all paying customers. However, in the event a customer is dissatisfied with an onboard experience like not finding a seat, our Customer Relations Department can handle this inquiry.” Cases can be opened by calling 800-USA-RAIL or using the “Contact Us” function on Amtrak.com. It’s worth noting that in June the former CEO of Northwest and Delta was named CEO of Amtrak, and in turn he just appointed another airline veteran to oversee “revenue maximization.” So whether the airline industry’s overbooking policies will take hold on the rails remains to be seen. A Greyhound spokeswoman advises Greyhound operates on a “fixed capacity model,” so tickets are only sold for available seats, and are date and time specific. Therefore, “buses are not often oversold” but on “rare occasions” when overbooking occurs, riders will be rebooked on next available buses at no charge. A site called GreyhoundBusGuru.com addresses this issue at length and the key advice is not to panic. Apparently the old cliché is somewhat true: There’s usually another bus right behind this one. Sometimes what may seem obvious isn’t so obvious. • ALWAYS record confirmation numbers, and if possible print hard copies. Reservations that can’t be proven are nearly impossible to fight. • Signing up for email or text notifications when booking travel can make it easier to receive real-time updates when reservations are imperiled (you usually can opt out of receiving marketing promotions). • A knowledgeable and unbiased travel agent may be able to offer key assistance in negotiating or rebooking on your behalf when your reservation fails. • Of course, even paid confirmations aren’t always honored. That’s why it’s critical to pay by credit card, which provides protection under the Fair Credit Billing Act. • With some travel sites and other travel sellers, your “confirmation” may be with that third party, rather than with the hotel or travel supplier. If you’re concerned, contact the travel company directly to confirm your reservation, in advance of traveling. • Confirm key policies in advance. This includes charges, trip changes and cancellations, loyalty programs, and securing payments. • If you have scheduling flexibility, consider traveling outside peak times (such as avoiding Wednesday through Sunday during Thanksgiving week). • With buses and trains, arriving at the station early is critical. A Greyhound spokeswoman states: “During peak travel periods, such as holidays, Spring Break or busy summer months, we advise customers to arrive at least 30 minutes early” to queue up. A word of caution: During the years my son traveled to college via buses I found such “lines” more closely resembled mosh pits. • Remember that certain customers — such as seniors, disabled passengers or those traveling with children — can obtain boarding priority on buses and trains, which may help in oversold situations. • If the worst happens and your reservation isn’t honored, document everything: names, dates, times, locations, confirmation numbers, etc. Request specific accommodations, rebooking, compensation, etc. • Afterwards, file a formal complaint with the company’s customer service department. Be specific in your complaint, and be specific about what you’re seeking, such as compensation. • Also consider filing a complaint with the Federal Trade Commission’s FTC Complaint Assistant. Next month I’ll offer insights into the maze of airline bumping policies. Unfortunately, there are few silver bullets these days when it comes to customer service in the travel industry. But I do know this: Someone owes me money for parking at Tweed Airport. Next article Do disruptive taxi apps pose a threat to urban rail?